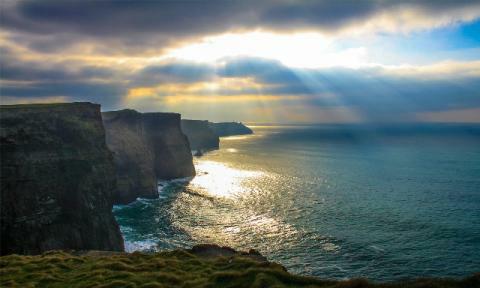 Ireland has everything you’d expect – Irish dancing and lots of ‘craic’, 40 shades of green and literary pub crawls – much of it there because tourists enjoy and expect it. However, whilst you wait for your pint of Guinness to ‘settle’ (a precise, 2 minutes) take another look and you’ll find a destination with a lot more to offer. Exciting nightlife, award winning attractions, Michelin starred restaurants, great shopping, varied outdoor activities and a unique countryside that has inspired some of the world’s greatest poets, artists and writers with its endless rolling hills and stunning scenery. Start your Ireland adventure with Stena Line and enjoy an exciting journey by sea and as ferry travel is one of the most relaxing and affordable ways to travel you will have the perfect start and end to your trip. Stena Line has hundreds of hotel and ferry breaks to choose from on their website (they can’t be bought separately for less), starting from £75 per adult per night (papn) including return ferry travel by car on any Irish Sea route (selected days and sailings) and two night’s accommodation, that make a trip with the other half or the family something to really look forward to. 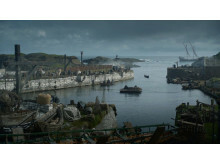 Game of Thrones, largely filmed in Northern Ireland, has boosted the numbers of visitors coming to see the magical filming locations featured in the series, including the Dark Hedges (King’s Road). Whilst in Northern Ireland you can visit the award winning and iconic, Titanic Belfast, the world’s largest Titanic exhibition. 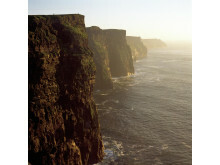 Later this summer, new attraction, The Gobbins will re-open for the first time since the 1900s. 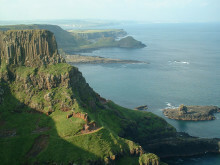 Located along the car touring route - the Causeway Coastal Route – The Gobbins is expected to be a white-knuckle walk that will thrill those with a sense of adventure. 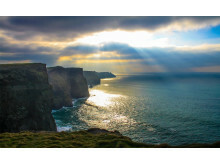 And don’t forget Southern Ireland which has some truly unmissable attractions including the Guinness Storehouse, which had over 1.2 million visitors last year, followed by the Cliffs of Moher Visitor Experience, Co Clare and Dublin Zoo. The National Gallery of Ireland remained the most visited free to enter attraction with the National Botanic Gardens, Dublin and Doneraile Wildlife Park, Cork, taking the second and third places respectively. 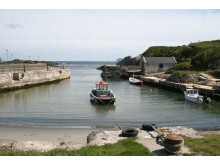 Book your ferry and hotel break at www.stenaline.co.uk/ireland or call 08445 768 889.